Connecting the dots for success #9 = Save your Guard! Your hands are tired, your legs are burning, and when you decide you can't handle the pressure any more, your opponent pins your legs to the floor and passes your guard. Keep in mind you are exhausted, that's why your guard started to fail to begin with. Does the match get easier now that you surrendered the pass? NO! Now, on top of being Exhausted, you get to enjoy the pressure of your opponent crushing your chest. One simple rule, never let your back touch the mat if your guard is compromised. To better explain, and to keep this "Long story short", look at the pictures below. The person on top is in the same position. However the player on bottom is doing 1 thing different that makes a night and day difference. Note: With your back off the mat your opponent has much to consider before attacking you because he has less control. 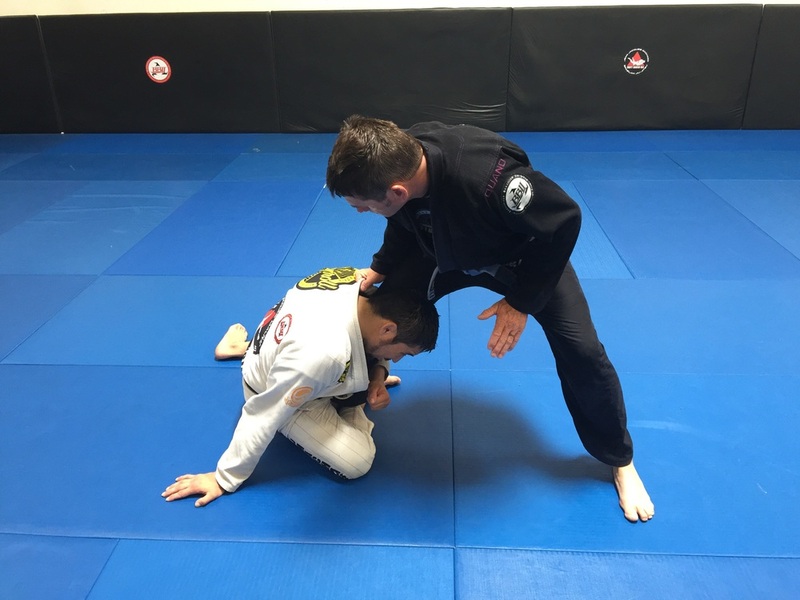 The better you are at getting your back off the mat, the harder it is to pass your guard. 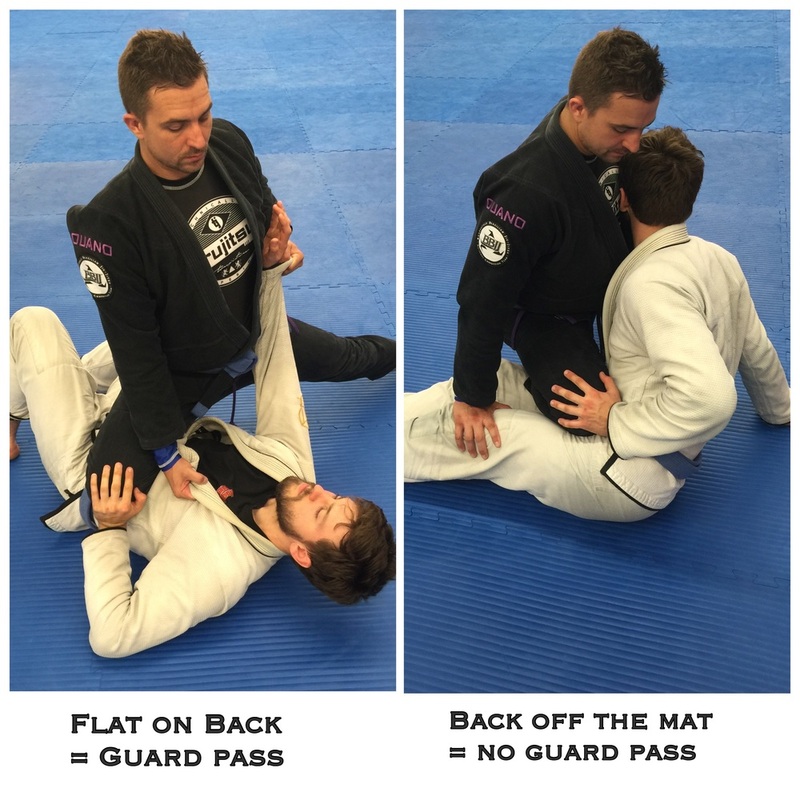 Even better, develop options that keep your back off the mat, for example Koala Guard. If you are not familiar with Koala Guard, please see picture below and stay dialed in for a wave of information on the way.